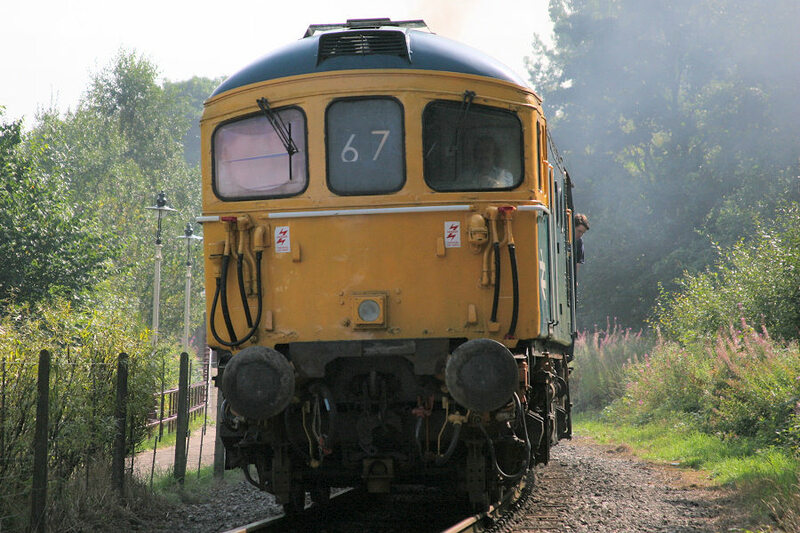 Maximum Speed: 85 MPH Length: 50' 9"
Train Brakes: Vacuum and Air Height: 12' 9½"
Train Heating: ETH Width: 8' 10"
33117 is one of two 33/1's at the ELR (the other being 33109). 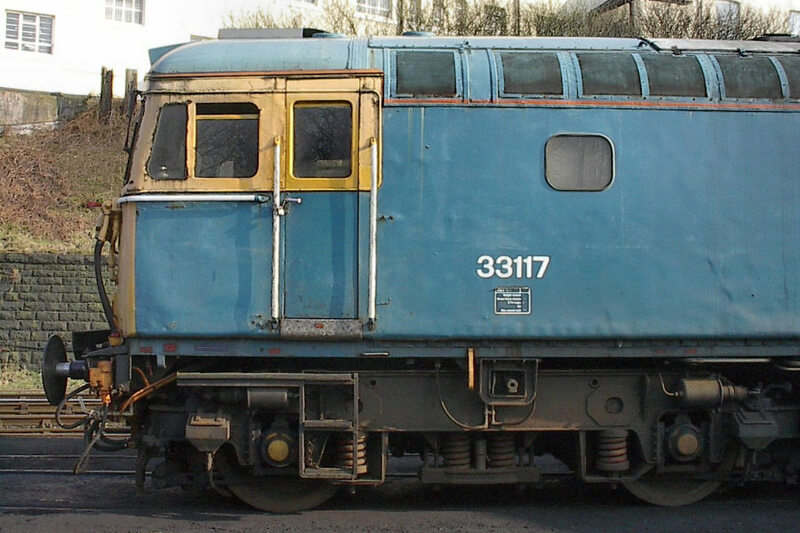 Nicknamed 'Bagpipes' due to the additional air pipework on the front, a total of 19 class 33/1's were adapted from 33/0's to include buckeye couplers with '3rd buffer', high level air pipes and control system modifications so that they could push or pull EMU sets on the Southern Region of British Railways, providing diesel traction where no 3rd Rail electric was available, most notably on Weymouth Harbour Tramway. 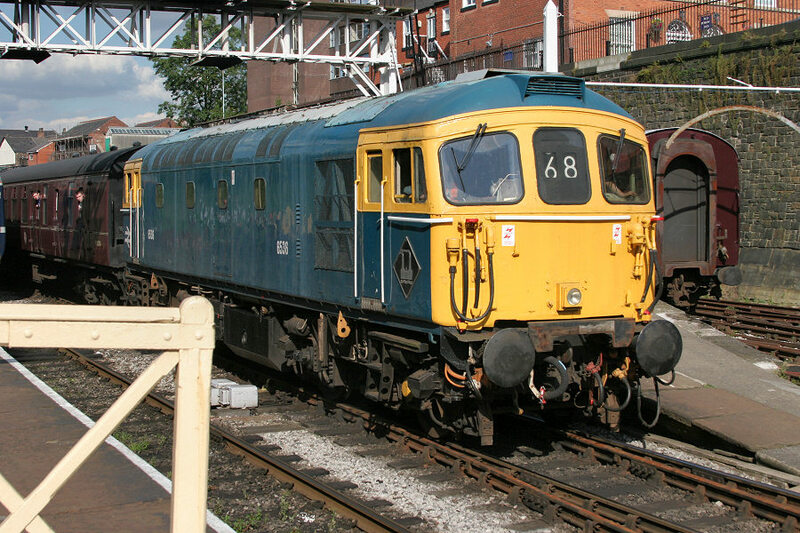 33117 has been a long standing member of the ELR Diesel Loco fleet and a useful machine to the railway with ETH capability. 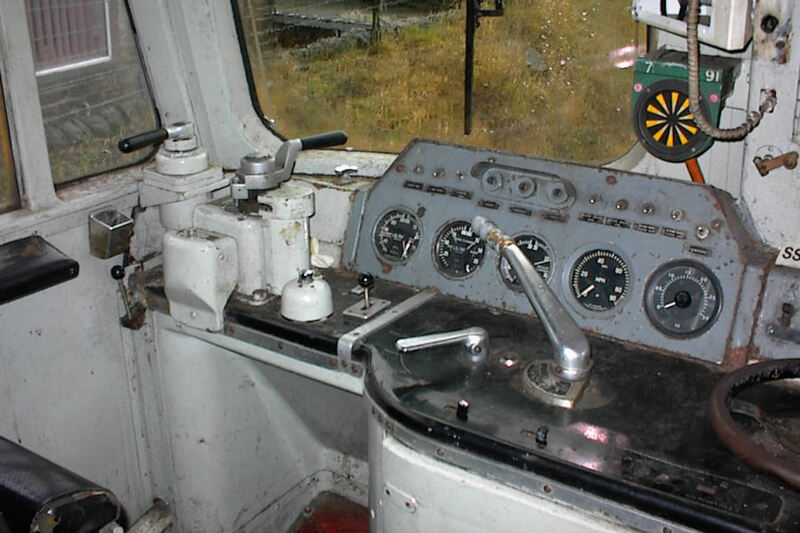 33117 was withdrawn from service early 2006 for a heavy overhaul to begin including power unit maintenance and a partial cab rebuild. 33117 is currently stored under cover and work is ongoing. For reasons unknown at the time of writing, but clearly for hilarity, the loco has been adorned with 'ETHEL 4' above its running number. Hopefully it will be able to do more than just heat carriages in the not too distant future though! 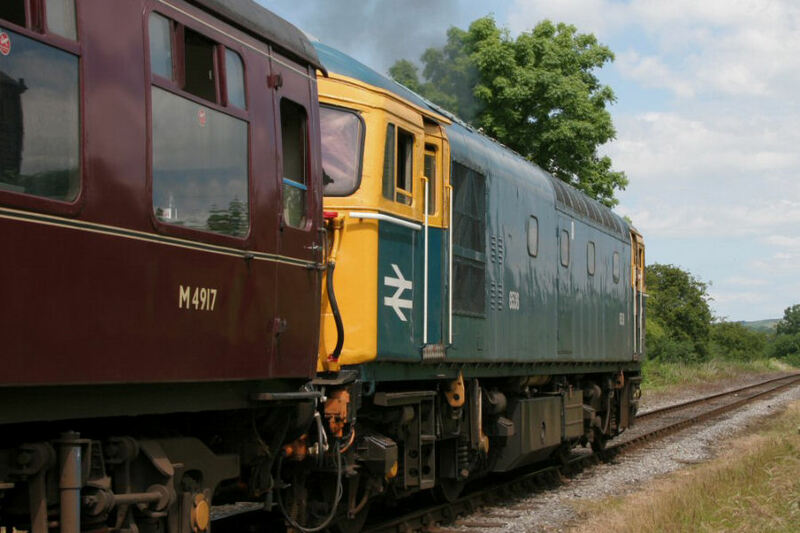 With such a large fleet of different locomotives it can be easy for those which are out of service undergoing restoration or essential repairs to get 'lost' or forgotten about. 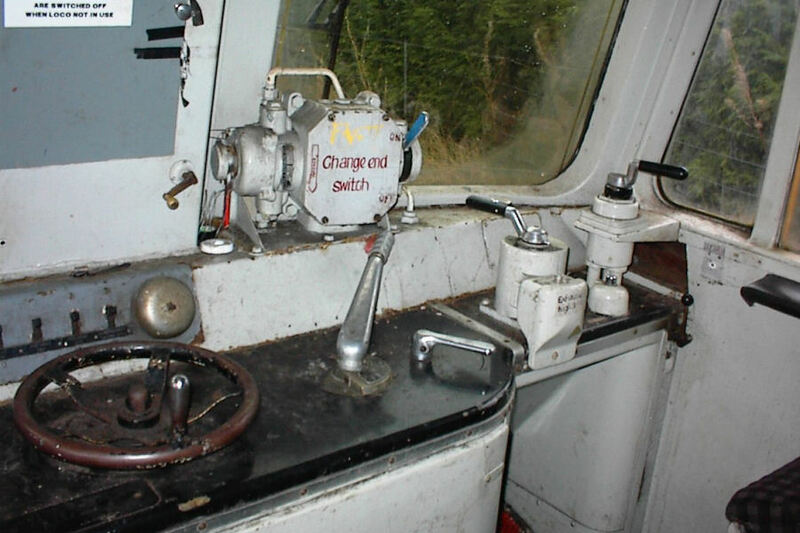 The following is a selection of links to individual locomotive group appeal pages. If you have a little to spare towards a favourite cause they will be extremely happy to hear from you.